The 2014 Reckon Accounts Business Range upgrades will soon start hitting your Email inboxes and PO boxes very soon, with a limited Partner release already underway. With an initial overview of the new features shown to Partners earlier in the year, and the second new release from Reckon under its own steam, this upgrade and its features are as important for Reckon as they are for the end user. Accounting software is changing, the Compliance World is changing, everything is becoming more open and automated and it has never mattered so much to your business, to keep on top of it all. There are some key new features in the Reckon Accounts 2014 Range update, one of which, if you employ over 20 staff, you will need to comply with Super Stream legislation. Reckon Accounts will finally have bank feeds via Reckon’s own bank data service, Reckon BankData. This will automatically import (with some setup and slight additional cost for the service involved), your daily bank transactions into your Reckon Accounts datafile. BankData Integration and bank feeds in Reckon Accounts has been one of the most requested features by Users and Partners of the popular accounting package for at least the last 12 – 18 months, so this is an upgrade we are very much looking forward to. Rather than using some of the popular bank feed services, Reckon have invested much time and money into building their own fully secure Bank Data service. Reckon GM Business Division, Pete Sanders, has confirmed the BankData Integration for both the Desktop and Hosted versions of Reckon Accounts Business Range in 2014. Number 2 on our list is likely going to be one of the most popular reporting upgrades in some time and certainly brought a round of applause from Partners upon release. This upgrade will finally bring the ability to run date based Annual Leave Liability reports and will also fix the issue of past pay slips displaying current leave values. From all pays beyond the upgrade date, the Leave Accrual Summary Report will track all Leave Liability Values exactly as they were at specific points in time for historical lookup purposes. One of the most important Superannuation reforms in Australian Superannuation history is going to change the landscape with how Australian businesses interact with and report to, their Super Funds and the Government as a whole. Known as Super Stream and covered in a previous Blog upgdate, the service will require all Aussie businesses with 20 or more staff to send their Super data electronically in a set format to their Superannuation Gateway Providers from 1st July 2014. A slight grace, will see the legislation enforced for business with fewer than 19 from July 1, 2015. Good news is, the Reckon Accounts 2014 Business Range will be fully Super Stream compliant meaning all you really have to do is ensure your Reckon Accounts 2014 upgrade is installed and data file upgraded prior to your first Superannuation lodgement dates. To further improve Payroll in the Accounts Business range, Reckon have also included the facility to now select the Superannuation Payroll item pertaining to that Payroll Item (during the Payroll Item setup phase). 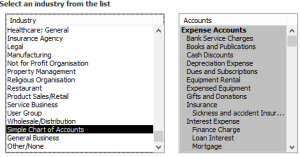 Previously users were required to set their Payroll Item up, then go to the Super Item and select whether the new Payroll Item should attract Super or not. 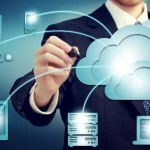 This will certainly improve the speed and reliability in setting up new employees or changing payroll requirements. For years, many users have asked us why there is a Barcode Field on Items when the field doesn’t link through to anywhere in the system. You see until now, the Barcode Field has been reserved for use with Reckon’s Retail Point of Sale program only. That now has all changed with a new Barcode column being created, so far, for use only with Purchase Orders. We would like to see this functionality expanded to include Estimates and Invoices as well. 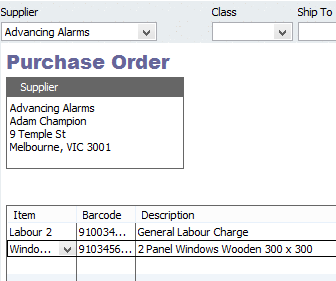 Good news is that, any existing barcodes in place in your Item List, will now just work with the new templates. And if not, then all you need to do is, open your Item, place your icon in the barcode field, and scan the number in. 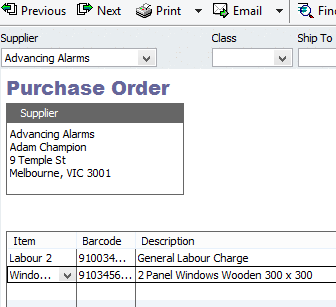 Then, go to a Purchase Order, add the Barcode column to your template and scan away! We are really struggling with which is our favourite new feature in the Axis offices today. As this next one will certainly please many smaller users and Bookkeepers alike. Some time ago, the Reckon product changed to include the full tax Chart of Accounts from the Reckon Elite tax range. Complete with account numbering that only Accountants understood (which was fantastic for producing fully compliant, Accountant friendly data files mind you! ); however for the smaller users or for small entities, it made a lot of work trying to simplify a Chart of Accounts that was hundreds of lines long. 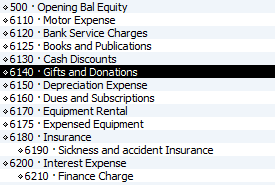 Well we are pleased to say Reckon have now included a Simple Chart of Accounts option with only a minimal set of accounts at start-up for the most basic of needs such as Motor Expenses, Rent, Postage, Telephone; as well as the statutory accounts such as Payroll Liabilities and Tax Payable. Account numbering for the simple chart is even back to the easy to understand numbering system of old. A long term favourite function within the Reckon Accounts Enterprise product has now made its way down to Pro and Premier and will no doubt be a welcome addition for those users with large or complex Item lists. The Search box at the top of the Item List is the latest addition here, and works by doing a full text character search through the whole Item List – and boy is it quick! Our test shot below used the Barcode number off one of our products that we scanned into the Item Search box, the product was found within one second, from 5,000 items. This will make the days of scrolling up and down the Item List a thing of the past for Reckon Accounts Pro or Premier users. Combine these major features with the usual raft of speed and stability enhancements, as well as enhancements to Reckon GovConnect, and we have one very exciting upgrade on our hands – one we have thoroughly enjoyed testing and writing about to bring you this news. Reckon have confirmed that Installation Keys are now available for end user installations, hence if you haven’t received your Email advice (digital downloads are also available from www.reckon.com/accounts) or CD in the mail, please do not hesitate to contact us immediately, as we can obtain your Installation Code and book your upgrade even if you haven’t received advice from Reckon yet.